Yes I can hear the soft mysterious sounds. i love this precious offering…with it comes the reassurance that memories are kept in unexpected places and can be comfort over and over and over again, thank you for this song of the sea! Celestine. Thanks for dropping by my blog. I love your new photo. You are beautiful. I can hear those shells. My love for ocean beaches and the drift that accumulates on them will never leave me. I think I will take it into eternity with me. LOVE it. As a child I used to love to hear the soft roar of the ocean inside a shell. This poem makes me see French coast lines and makes me smell the sea… love it! Lovely haiku! There’s something delightful about walking along a beach, finding a shell, and holding it up to your ear to listen, listen, listen. So much beauty in so few words. Lovely, Celestine. Congratulations on your second poetry collection, Celestine!! I managed to read bits that were open to review. 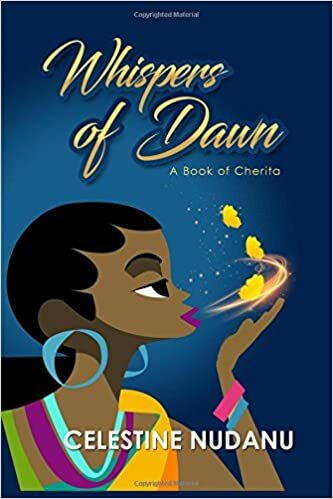 I hadn’t heard of the Cherita until I saw this book of yours. Interesting! Hope you feel ‘fuller’ soon. Luv the sound appeal here. A happy Sunday to you. I can relate because I love the ocean!